Canadians looking to join ISIS and other extreme groups are making a quick buck in the oilsands before travelling overseas, Edmonton's police chief told The National Post. Rod Knecht confirmed to reporter Stewart Bell the Edmonton Police Service had seen extremists get jobs in northern Alberta to earn money to fund trips to join terrorist groups overseas. 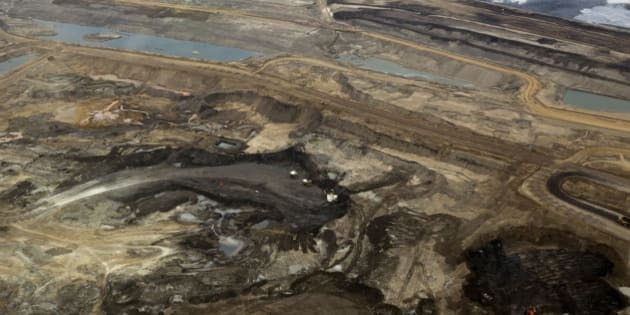 "You can go up to Fort McMurray ... you're relatively anonymous, you're in one of those work camps and you can make a hockey sack of money in a very, very short period of time," Knecht said. Aspiring extremist fighters require cash to pay for items such as travel and weapons, the newspaper said, and many also have to go without a regular income for lengthy periods. An investigation by the Post uncovered that three Canadians had worked in Alberta's north before joining up with ISIS; two of them were from Ontario. The Post noted that Michael Zehaf-Bibeau, the gunman who killed Cpl. Nathan Cirillo at Ottawa's National War Memorial in October, worked in the oilsands as well, before a planned trip to Libya. The newspaper also addressed the issue of radicalization in Alberta. On Wednesday, the RCMP issued a news release following the Post's story, saying, "The key issue of radicalization is not [centered] around a location, local economy or other geographic concern. "There is no indication that Fort McMurray is more at risk than any other community in Alberta, or the country for national security concerns," it read. "The RCMP is concerned by any terror related activity that is a direct threat to Canada as a country." In September, Mahamad Accord, the head of the Edmonton-based Canadian Somali Congress Western Canada, warned Prime Minister Stephen Harper that young people from his community were being recruited to join the terrorist group — some, he said, were as young as 16 years old. "We cannot sit idly to see these criminals putting our young lives at risk and becoming a pawn for ISIS terrorists," Accord said at the time. But it appears ISIS recruits aren't just coming from Edmonton. In the same month, Vice News posted an interview with Farah Shirdon, an ISIS fighter from Calgary, who said the group was planning attacks on New York and planned to fly its own flag over the White House.